Address: 3300 Eger, Fürdő u. 5. Eger is famous for its beautiful baroque buildings, its award winning wines and for its medicinal thermal springs. The thermal baths have helped heal locals and visitors since the 16th century. Hunguest Hotel Flóra is situated 130 km far from Budapest on the south side of Bükk Mountains. 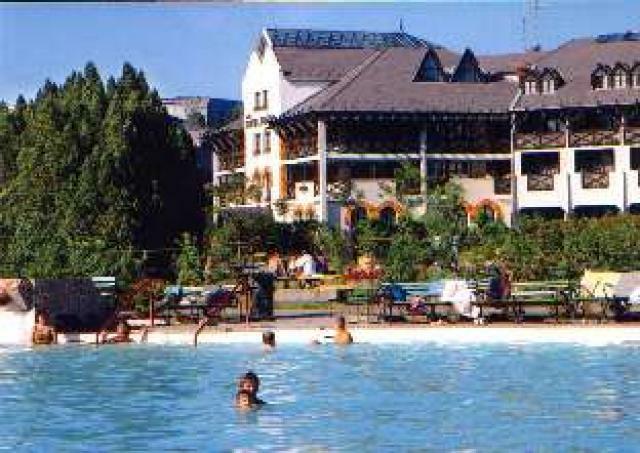 The hotel is next to the thermal springs and a short walk from the Eger town centre. The stunning modern indoor swimming-pool and the traditional Turkish baths are only a minutes walk away! Room types 2011.04.03.-10.23. és 2011.12.20.-12.29. 2011.10.23.-12.20. 2012.01.03.-04.01. The room price includes buffet breakfast and buffet dinner, free use of wellness island (pool with fun elements/fun bath, pool for children, jacuzzi, infrasauna, sauna, steam- and aromatic sauna, Kneipp pool, dipping pool), free entrance to the open-air bath with using of adventure pool and VAT. The hotel has 190 rooms, mostly air-conditioned and with wireless internet access. In the hotel there are 125 double rooms, 48 manzard rooms in the loft, ( first of all single rooms, but these are suitables for 2 persons too, because of the double bed ) 5 suites and 8 adjoined family rooms and 4 rooms for disabled persons. The four-storey Hunguest Hotel Flóra provides direct dial telephone, colour television and minibar for guests. Single rooms have shower and a toilet, whereas double rooms have balcony, bathroom and separate toilet. 50 rooms have extra bed facility, there are 86 rooms for non-smoking guests.